Fall is such a sweet time of year. It a time when we enjoy cooler days, and it's an excellent time to ride some horses. 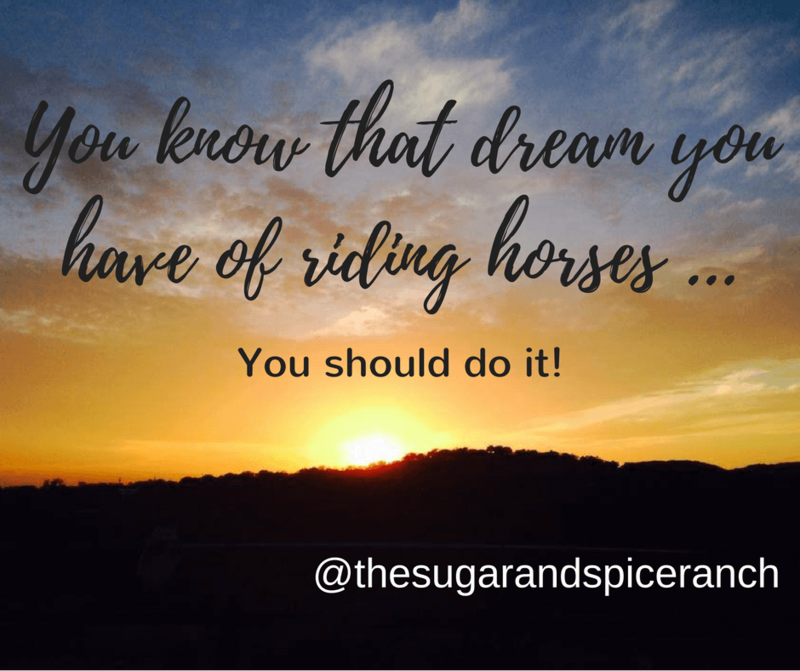 Then again, it's always a splendid time to ride horses at The Sugar & Spice Ranch. This month, it's not too late to get in on a great Woman's Only Weekend Friday, October 28th ~ Monday, October 31. It's a fun way to experience what it is like to own horses and to live on a working horse ranch. Our WOW (women-only weekend) sessions run from September through May on one of the last weekends of the month and are all-inclusive (lodging, all meals, tack, horses, lessons, etc.) Everyone gets to bunk together as a group in our beautiful bunk room. We accommodate all levels of experience, and we have two riding lessons per day, one in the morning and another in the afternoon. You can also pamper yourself with unique Spa Treatments by Miss Ellena (at an additional cost). It's just a great way to relax and recharge in time for the winter holidays. Plus you'll meet new friends and experience the sweetness and the spirit of some magnificent horses. Check out our website to learn more details and to reserve your stay!